Pox Nora is a game that's hard to categorize. It's like Hearthstone, you see, because it's an online card game. But it's also like Civilization because it uses turn-based combat on a variety of maps with terrain that affects the battle. And maybe it's like Minecraft as well because it was built by a tiny team and developed incrementally through the feedback of a passionate fan base. Pox Nora was free-to-play before free-to-play was a thing. It's gone from tiny little indie to SOE-backed product and back again. And through its eight years, it's managed to fly quietly under the radar while its developers continually churn out content, implement community ideas, and expand its possibilities. At PAX South over the weekend, I sat down with Arthur Griffith, CEO of Desert Owl Games and co-creator of Pox Nora, to learn more about the game and its latest content additions. Like other card games, Pox Nora is built on the central theme of collecting cards and building decks. Pox Nora refers to cards as runes; developers have created over 3,000 runes for Pox Nora to date. But runes aren't deployed on a tabletop a la Hearthstone or HEX. Instead, the units those cards enable are deployed on a battlefield and then controlled via turn-based combat. Different cards enable different abilities and cards can also impact the battlefield itself -- one example Griffith offers is a unit that leaves lava behind as it moves, making it harder for enemy forces to move and making it easier for friendly lava-surfing units to score an advantage. There are multiple factions each, with its own array of strengths, weaknesses, and special skills. Pox Nora is tuned for one-on-one PvP combat but includes an extensive campaign mode. A recent update also added a direct one-on-one PvE skirmish mode with an interesting hitch: The enemy AI borrows deck builds from players who are currently deploying those decks successfully in PvP. Griffith isn't shy about Pox Nora's place in the world of online games, readily admitting that the title isn't for everyone. 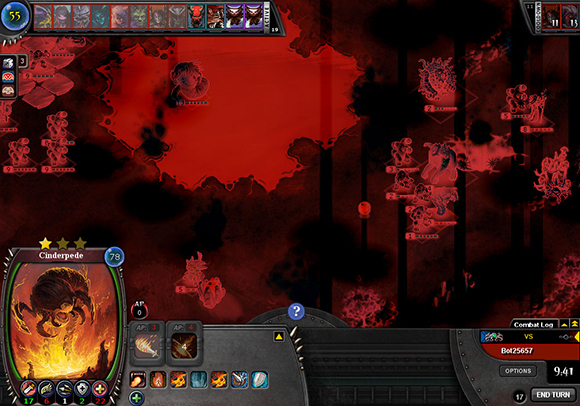 But for those people who enjoy this type of gameplay, Griffith believes Pox Nora offers a bevy of unique features unavailable in any other offering. 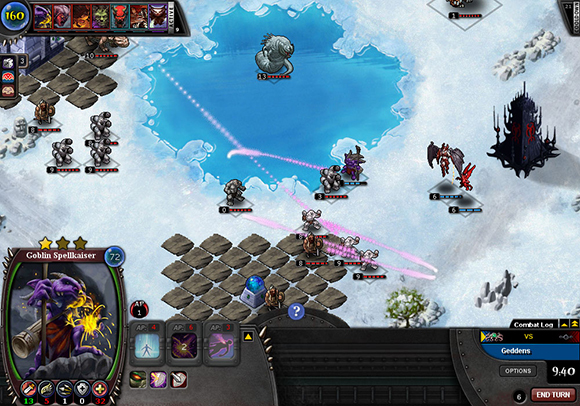 Griffith credits his team's affection for its community as the primary reason Pox Nora has survived so long in a sea of online games and CCG competitors. Its dedication to implementing player ideas, interacting with its community, and opening up avenues that allow players to be more flexible with how they build decks or play the game is what Griffith cites as Pox Nora's primary selling point. Pox Nora is just five days into its newest expansion, titled Ronin. The free expansion adds 64 new runes, new and rebalanced abilities, new story components, a new map, new single-player campaign, and more. I were a bigger fan of MMOTCGs, I can't imagine not giving Pox Nora a few weeks of my time. Massively's on the ground in San Antonio during the weekend of January 23rd to January 25th, bringing you all the best news from PAX South 2015. Whether you're dying to know more about Guild Wars 2's Heart of Thorns, hoping to catch a glimpse of Elite: Dangerous on the Oculus Rift, or angling for some rumors from the SWTOR cantina crawl, you can bet we'll have it covered!